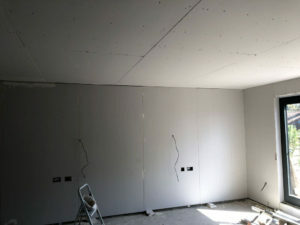 And yet another interesting project for Fullers Plastering to be a part of. 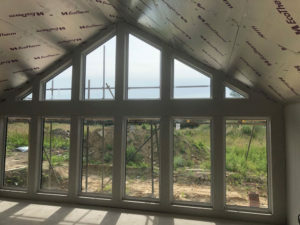 This is a single dwelling near Ditchling, East Sussex. The photos show some difficult angles and heights, which made the look very appealing. 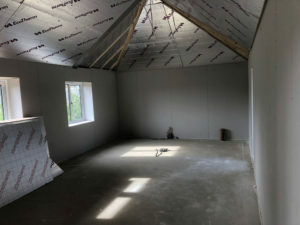 Our part of the project was to supply and fit the EcoTherm insulation, board and skim all areas, which is ongoing. 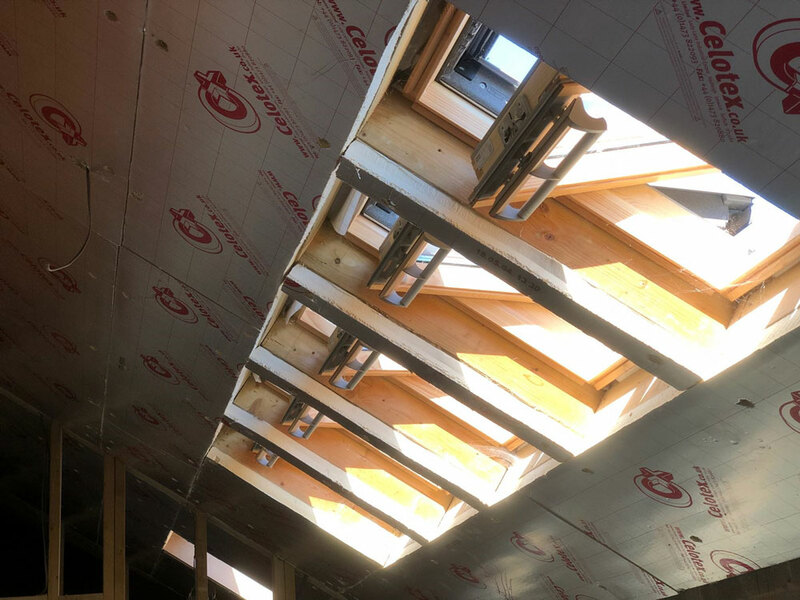 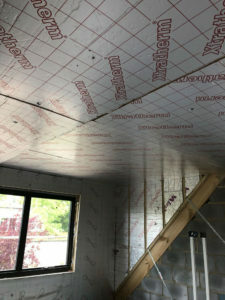 The insulation had to be fitted between the rafters and then again over to insure the property is insulated to the architects specification. 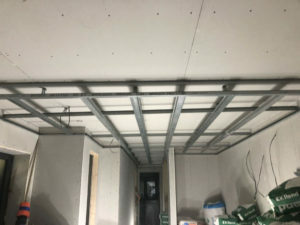 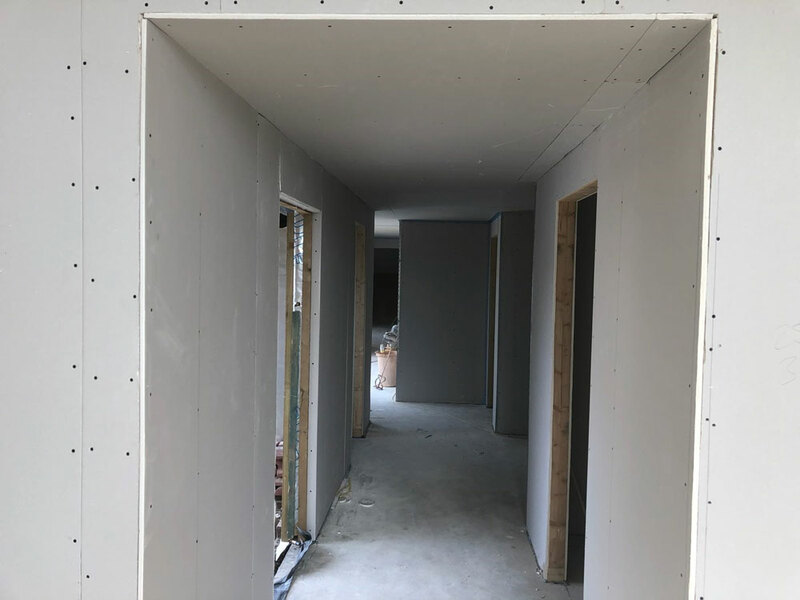 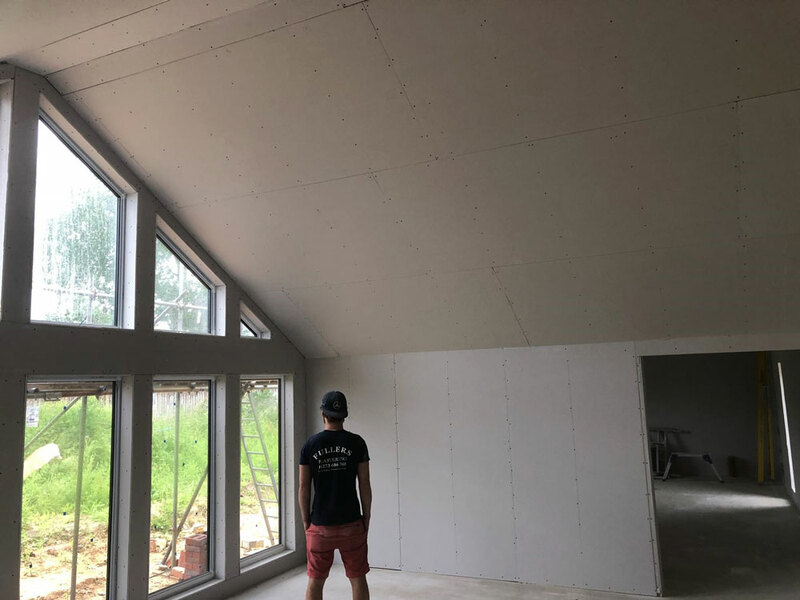 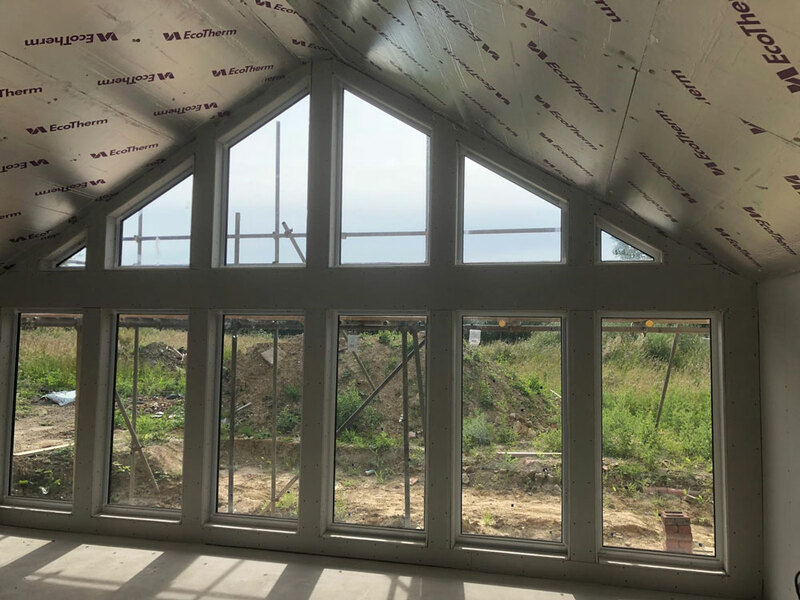 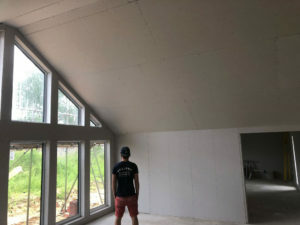 If you have a project such as this EcoTherm Insulation and are looking for a professional plastering and rendering company, then please either call us on 01273 686368 or send us an email to find out how we can help you.